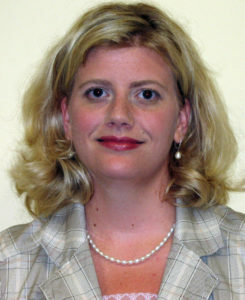 Jenny Tunstall Tinklepaugh joined Golden LEAF as communications officer in August 2007. She helps build awareness of Golden LEAF’s mission, vision and funding; works to provide appropriate information to stakeholders; and furthers the role of Golden LEAF as a leader on rural economic development issues. Jenny crafts and implements the Foundation’s communications strategy and manages its website and social media platforms. She previously worked for the Washington Daily News as an editor and advertising manager. She was born in Washington, NC, and attended Beaufort County Schools. Jenny earned her bachelor’s and master’s degrees in English at East Carolina University. She lives in Rocky Mount with her husband and two daughters.